Encouraging news from a pivotal trial of its CAR-T drug in non-Hodgkin lymphoma has helped lift shares of Kite, which now looks set to be the first in the class to be filed with the FDA. The Santa Monica, California-based company saw its share price surge 13% on the news from the trial of its KITE-C19 drug, which showed good responses in 62 chemorefacractory patients with diffuse large B-cell lymphoma. KTE-C19 met the primary endpoint of objective response rate (ORR), with ORR of 76%, including 47% complete remissions (CR) after three months – a significant achievement in this hard-to-treat set of patients. The ZUMA-1 trial enrolled patients with chemorefractory aggressive NHL into two cohorts. Cohort 1 included patients with DLBCL, and Cohort 2 enrolled patients with transformed follicular lymphoma (TFL) and primary mediastinal B-cell lymphoma (PMBCL). 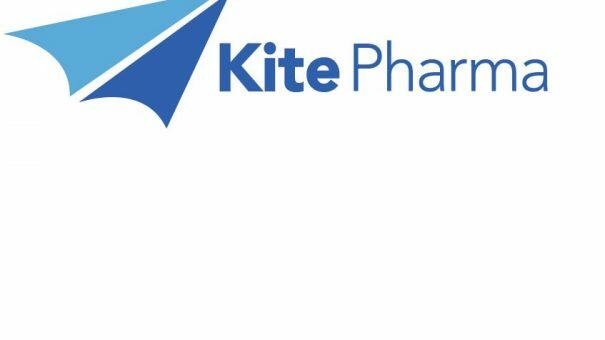 The strong data means that Kite will now seek a fast-track approval from the FDA, and chief executive Arie Belldegrun says it is on course to file before the end of 2017. This will mean Kite will be the first CAR-T competitor to file with regulators, helping it to get ahead of Novartis, which had been tipped to be first with its CTL019. The company will seek regulatory approval of KTE-C19 in DLBCL, TFL and PMBCL based upon the combined data of both cohorts, and has longer term data in the pipeline. “ZUMA-1 enrolled patients with chemorefractory aggressive NHL, a disease that is very difficult to treat. The combined CR rate of 39% at three months is very exciting as it represents nearly a five-fold increase from the CR rate of 8% seen in the SCHOLAR-1 study in a similar patient population,” said Jeff Wiezorek, M.D., Kite’s SVP of clinical development. Kite can boast that the ZUMA-1 trial is the largest CAR-T study reported in NHL, helping it get ahead of another rival Juno Therapeutics and its CAR-T, JCAR014. In May this year, Roche gave Kite a major seal of approval when it signed a development deal to combine KT-C19 with its own immunotherapy, PD-L1 drug atezolizumab. One of the outstanding questions about the technology is the difficulty of manufacturing, as each dose of CAR-T therapy has to be tailored to each individual patient. “We were able to manufacture KTE-C19 for 99% of patients enrolled in the study, and successfully handle the study logistics and adverse event management at over 20 sites, most of which had no prior experience in CAR-T therapy,” added Wiezorek. The markets were not perturbed by the safety profile of the drug, which like other CAR-T therapies in development, can cause some serious side effects. However high levels of these side effects will be a major concern once KTE-C19 and other rival treatments reach regulators. Across the combined 62 patients, the most common grade 3 or higher adverse events included neutropenia (66%), anemia (40%), febrile neutropenia (29%), thrombocytopenia (29%), and encephalopathy (26%). Grade 3 or higher cytokine release syndrome (CRS) and neurological toxicity was observed in 18% and 34% of patients, respectively. Most significantly, two patients died from KTE-C19 related adverse events (haemophagocytic lymphohistiocytosis and cardiac arrest in the setting of CRS). Despite these concerns, the high response rate and relapse rate is encouraging news for the company. The results are good news for the field as a whole, which recently saw confidence drop off after Novartis decided to disband its cell and gene therapy unit. “We are grateful to the study participants and investigators who have made this important research possible. What started at the NCI over a decade ago with the pioneering work of Steven A. Rosenberg, has evolved into a technology that has the potential to fundamentally change the outlook of patients with cancer. For patients with aggressive NHL, every day matters and a new treatment option like KTE-C19 is desperately needed,” said Arie Belldegrun, president and chief executive of Kite. Kite says further data from this interim analysis will be submitted for presentation at an upcoming scientific meeting. The primary analysis of 101 patients with chemorefractory aggressive NHL (DLBCL, TFL and PMBCL) will include approximately six months of follow-up and is expected in the first quarter of 2017.